Registered Certification Bodies Holding :: what is accreditation? Accreditation - > what is accreditation? t is an attestation or certification by the National Accreditation Body certifying that a conformity assessment body satisfies the criteria established according to harmonised standards. "It is an attestation or certification by the national accreditation body certifying that a conformity assessment body satisfies the criteria established by harmonised standards and, where appropriate, any other supplementary requirements including those defined in the relevant sector programmes, for conducting specific conformity assessment activities". Both on a national and on an international level, consumers require increasing guarantees regarding the quality and safety of goods and services. Producers and suppliers must respect legal requirements in markets of growing competitiveness and complexity. Through the certification of its management system, product or service, or of its professionalism, with an assessment report of its activity or a laboratory test of the goods it offers, the supplier can demonstrate to the client that it operates in conformity with international standards and other specific requirements related to its field of activity. Only testing laboratories and accredited certification and inspection bodies are qualified to supply to the market reliable, credible and internationally recognised certifications of conformity. 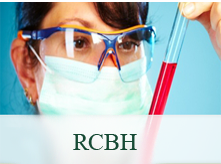 RCBH, applying the most rigorous standards, evaluates their competence, and their behaviour and performance is continuously and carefully monitored. 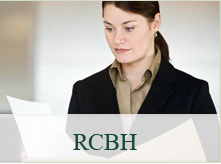 RCBH is also a signatory to international agreements of mutual recognition. By means of accreditation, both conformity assessment bodies (laboratories and inspection and certification bodies) and their clients can demonstrate that compliance with standards is a voluntary commitment rather than an unwilling adjustment. Accreditation certifies the quality of the work of a certification and inspection body or of a testing and calibration laboratory , assessing the conformity of its management system and its competences against internationally recognised requirements and standards, including all legal obligations. 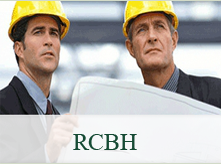 RCBH commits itself, through the implementation of its monitoring systems, to ensure that the behaviour of all its market operators - companies, consultants, bodies, inspectors - fully and transparently respect certain fundamental principles which constitute the basis of certification credibility and marks of conformity in general. Impartiality: representation of all interested parties within the body or laboratory. Independence : assessors and committees releasing the certification or report guaranteetheir absence of conflict of interests with the organisation to be certified. Correct behaviour: European standards disallow offers of consultancy either directly or through associated organisations. Competence: accreditation certifies primarily that those performing the assessment are culturally, technically and professionally qualified. Accreditation regards all sectors of production and service which are of daily concern to users because every type of activity can be subjected to evaluation, from construction to energy, from the environment to transport, from health to education and much more. It promotes the improvement of the offer of certification through the enhancement of regulations, also making use of funds from the standardisation bodies UNI (the Italian national unification body) and CEI (the Italian electrotechnical committee) for matters concerning the connection between laws and voluntary standardisation. It studies new accreditation schemes and develops guidelines for the harmonised evaluation of reference standards in order to meet the growing and diverse socio-economic demands of the country. It helps to promote the need for quality which, in an increasingly aware population, continues to rise. It contributes to the creation of trust in society.